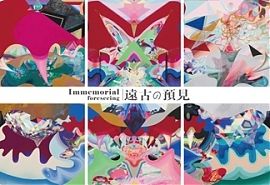 Born in Tokyo in 1982, Ryuichi Ohira studied sculpture at the Tokyo National University of Fine Arts. 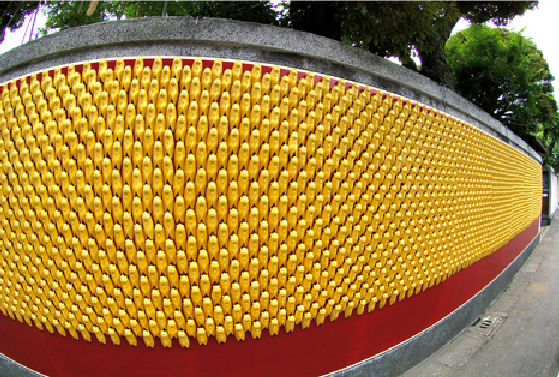 His installation art interprets the traditional concepts of wealth and prosperity. 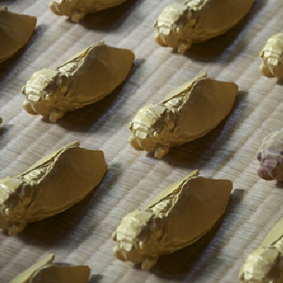 With his sculpture of 4444 golden cicadas, he examines the relationship between the worshipped object and the worshipped place outside of reference to any specific religion. The underlying concept is both everywhere and nowhere, an idea which can be worshipped but remains ultimately unattainable. Ryuichi currently lives and works in Chiba, Japan.